Bank of India provides net banking and mobile banking to their customers. You will get net banking user ID and login password instantly after opening account, also you can enable net banking online using debit card. 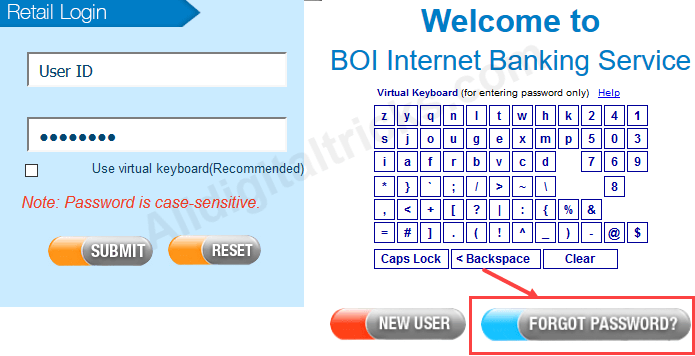 In BOI net banking facility you need to apply for transaction password separately using application form. After applying you will get your transaction password via courier. Transaction password is required for any transaction on net banking. Here we will show you how to apply & activate/enable transaction password for Bank of India net banking. After opening account, you can activate net banking through debit card, also you will get login password through bank instantly. But for transaction password you need to submit application form separately. 1: Get Transaction password Request form from Bank and fill it. You just need to fill out your User ID and address. User ID printed in your passbook. Fill out this form and submit to bank. 2: After your request within 20-25 days you will get your Transaction password via courier. Now you need to activate (acknowledge) this transaction password. You can activate it with two methods. If you haven’t debit card, you can activate (acknowledge) transaction password at bank. If you have active Debit card then follow below guide and activate transaction password online without visiting branch. Make sure your atm/debit card is active. To avoid any error use Firefox browser. 1: First open Bank of India Internet Banking login page and click on Forgot password as you can see in screenshot. 2: Now enter user id, debit card number, ATM PIN number and expiry date (MM/YY). Click on submit. 3: In next screen, click on Acknowledgement of Transaction Password. 4: That’s it you have successfully activate/enabled transaction password for net banking. After activation of transaction password login to net banking account. You will be prompted to change your transaction password. You can set your own choice password here. 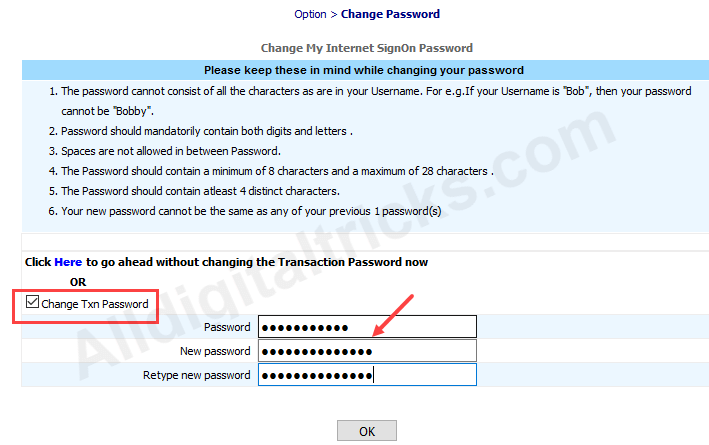 If you skipped this step, click on Options tab and then click on change transaction password. So this is step by step process how to apply and activate/enable transaction password for Bank of India Net Banking.